Dr. Amiridis will succeed Chancellor Paula Allen-Meares, who has lead the UIC campus for the last six years. Michael D. Amiridis, executive vice president for academic affairs and provost at the University of South Carolina in Columbia, was named chancellor of the University of Illinois at Chicago Thursday, pending formal approval by the Board of Trustees at its Jan. 15 meeting. Amiridis, who has been a professor, researcher and senior administrator at South Carolina’s flagship campus for more than two decades, would succeed Paula Allen-Meares, who will return to the faculty after her six-year term as chancellor of Chicago’s largest university ends Jan. 15. He would take office March 16. Until his arrival, Eric A. 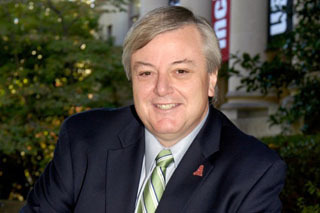 “Rick” Gislason, interim UIC vice chancellor for academic affairs and provost, would serve as interim chancellor, pending Board of Trustees approval. President Robert Easter said Amiridis’ extensive leadership experience in public higher education will help continue UIC’s rise as one of the nation’s premier urban research universities. “With its rich history of success in high-quality education, in generation and application of new knowledge, and in community engagement, access and inclusion, UIC is well positioned for the future,” Amiridis said. Amiridis, 52, was chosen by Easter and president-elect Timothy L. Killeen from four finalists recommended by a campus-based advisory committee, which screened 55 candidates during its eight-month search. As chancellor, he would head Chicago’s largest university campus, with more than 28,000 students and total research funding that ranked 57th among universities nationally in the most recent federal rankings and now exceeds $350 million. UIC has a nearly $2 billion budget, 12,000 faculty and staff, and 15 academic colleges, including the nation’s largest medical school. UIC also operates the state’s largest public medical center, along with a network of federally qualified clinics and regional health sciences campuses in Peoria, Rockford and Urbana-Champaign. 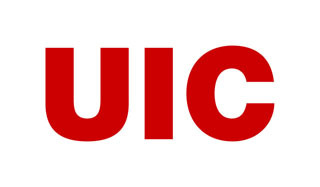 The chancellor is chief executive officer of the UIC campus and reports to the university president in a system that also includes campuses in Urbana-Champaign and Springfield. Easter will retire as president on June 30, 2015, and Killeen was announced as the university’s 20th president in November, pending Board of Trustees approval in January. “I am delighted that Michael Amiridis has accepted our offer to become the next chancellor at the University of Illinois at Chicago,” Killeen said. “I also want to thank Chancellor Paula Allen-Meares for her exemplary leadership over the past six years.